Power quality refers to the presence and consistency of the electric voltage. Voltage outside the proper range can damage electrical equipment. In years past, power was used to operate only motors and lights. Today, homes and businesses are filled with computers, televisions, stereos, appliances and other equipment containing microchips. These devices are extremely sensitive to the quality of power. SPIKES and SURGES are sudden increases in voltage that last less than 1/60th of a second. They can be small or large — up to thousands of times the normal voltage. Large spikes can burn or melt electronic components causing instant failure. Repeated ‘hits’ from smaller spikes gradually erode components and can shorten their useful life. Most spikes originate inside your home or business and can be caused by the normal operation of fluorescent lights and appliances with motors (refrigerators, vacuum cleaners and fans are good examples). Other electric equipment, such as copy machines and laser printers can cause spikes when turned on and off. A smaller percentage of spikes originate outside your building, caused by lightning strikes, short circuits in electric lines and large equipment used by factories. While these spikes are less frequent, they tend to be more serious. Lightning strikes to a telephone line, cable TV system or satellite dish also carry voltage spikes. Devices that are connected to more than one wire, such as cordless telephones, answering machines, computer modems and TVs are especially vulnerable. SAGS are decreases in voltage that starve machine for the power they need to operate. This is the most common form of power quality problem. Sags usually last less than a second–voltage drops longer than one second are called brownouts. When power returns, spikes often occur as equipment in the system springs back into action. Surge protectors will not help equipment during sags. INTERRUPTIONS are a total loss of power which may last less than a second or up to several hours. You may not notice a split second interruption, but your computer might restart or your digital clock may start flashing. NOISE doesn’t cause much damage, but it can be a nuisance. You see electrical noise as ‘snow’ on the TV screen or hear it as static on the radio. Electromagnetic Interference (EMI) and Radio Frequency Interference (RFI) are two sources of noise. A surge protection device is designed to reduce the magnitude of a surge, protecting equipment from damaging effects. Common types of surge protection devices include whole-house, point-of-use and uninterruptible power supplies (UPS). Whole-house units are either hard wired into the main circuit breaker panel by an electrician and owned and maintained by the customer or installed at the house meter and owned and maintained by BTU. Point-of-use surge protection devices are located at or near the equipment and have fax, modem, telephone and cable capabilities. Surge suppressors only work if they are plugged into a properly grounded 3-prong outlet. If your home has 2-prong outlets, have a licensed electrician upgrade the outlets. UPS’s are designed for computer use and allow enough time to exit files and turn off a computer. The devices include batteries that provide enough electricity to keep a computer system operating until it can be safety shut down, 10-25 minutes, depending on the device. What features should you look for in a surge suppressor? Energy Rating – 420 joules or more (higher is better). Because testing methods for energy rating are not standardized, don’t base your choice on energy rating alone. If you are protecting a TV, DVD/VCR player or computer, purchase a surge suppressor with TV cable connectors and/or phone jacks. BTU will use reasonable diligence in providing consistent and uninterrupted power; however, BTU cannot guarantee power without interruptions or disturbances. 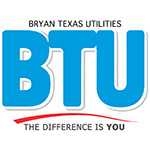 BTU delivers utility grade power – not “conditioned” power. It is the customer’s responsibility to provide appropriate protection for their equipment. This protection should be in accordance with the National Electric Code and should include protection against the following abnormal conditions: overload, loss of voltage (any duration), abnormal voltage (any duration), loss of phase, re-establishment of normal service after any of the above, phase reversal, etc. BTU maintains thousands of miles of power lines which are exposed to natural and man-made damage or destruction. To keep outage time to a minimum and protect our lines, automatic reset devices (breakers) are used. If an animal, tree limb or other object contacts the line, the breaker operates (up to three times) to restore power. Operations of substation breakers and other protective devices on BTU’s electric system often cause digital clocks and other electronic devices to reset. Some appliances contain battery backups that can help to prevent this problem. One of the main reasons for service interruptions and breaker operations is tree limbs contacting power lines. 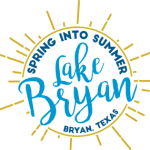 If you see limbs touching power lines, contact BTU’s 24-hour Outage/Emergency Hotline Phone at (979) 822-3777. When planting trees, be sure to set them away from power lines to avoid future interruptions. Breaker operations often affect electronic devices or computer-controlled equipment. Your equipment manufacturer may need to provide special provisions necessary to afford adequate protection for this type of equipment. Like surfers, most electrical devices are looking for the perfect wave. For alternating current, perfection is defined by a sinusoidal (or sine) wave in which electrical voltage changes smoothly from positive polarity to negative and back again 60 times per second. Unfortunately, modern equipment is having a negative effect on the quality of this perfect wave. A variety of solid state devices, including desktop computers and other microprocessor-based devices, create high levels of harmonic distortion. (See Harmonics Strike a Sour Note below for more details). overheating in neutral conductors, transformers, or induction motors. deterioration or failure of power factor correction capacitors. erratic operation of breakers and relays. pronounced magnetic fields near transformers and switchgear. To make matters worse, harmonics can sometimes be transmitted from one facility back through the utility’s equipment to neighboring businesses, especially if they share a common transformer. This means harmonics generated in your facility can stress utility equipment or cause problems in your neighbor’s facility and vice versa. Electric utilities have recognized this problem and are adopting standards, like the Institute of Electrical and Electronics Engineers (IEEE) Standard 519 which defines allowable harmonic distortion at customer service entrances. This standard is designed to protect both businesses and utilities. There are a number of ways to deal with harmonics, but not all solutions are appropriate for a given problem. In some cases, it’s best to simply treat the symptoms. If your only problem is neutral conductor overheating, you can increase neutral conductor size. For transformer overheating, you can install special K-rated transformers designed to tolerate harmonics. You can redistribute or relocate harmonic producing loads around your facility to balance harmonics and produce a more sinusoidal waveform. A “zigzag” transformer uses phase shifting to accomplish much the same thing. Another solution involves reducing the level of harmonics produced by equipment. Impedance may be added by installing line reactors at harmonic sources. Tuned filters may be installed to eliminate specific harmonic frequencies. Both have a long track record, are reasonably priced and work effectively. This approach must be carefully implemented to avoid creating other problems, such as harmonic resonance. Six-pulse rectified power supplies like those found in many variable frequency drives, may be replaced with twelve or higher pulse rectifiers. This solution is not likely to be cost effective unless done when the equipment is purchased. A new class of harmonics mitigation devices injects a mirror-image waveform of the harmonic portions of the distorted waveform. By canceling out the harmonics, the waveform returns to its 60 Hertz base. This type of device – called an active harmonic filter – is based on variable speed drive technology. Active harmonic filters are relatively new and rather costly, but offer several advantages. They are inherently current limiting, have no resonance problems, are “intelligent” and adaptable, and can be configured to either correct the full spectrum of harmonics or to target specific harmonics. Although this technology is new, it has important advantages and should be watched carefully. It is worth stressing that the particular solution for your facility must be the result of careful analysis and isolation of the problem. No harmonics mitigation strategy should be employed without first assessing the situation. An ideal time to consider harmonics mitigation strategies is during the design of new facilities or at the time of equipment purchases. Harmonics producing equipment can be identified and mitigation devices installed at the equipment. Transformers and neutral conductors can be specified properly. Some variable speed drive manufacturers now offer harmonics correcting components as standard features of their drives and others offer them as factory installed options. Be sure to ask your drive representative about harmonics correction when specifying a new variable speed drive. Harmonics are not a problem for everyone. Most facilities probably have some level of harmonic distortion, so the mere presence of harmonics does not warrant concern. However, you should be concerned when you see the problems described above. Another time to give harmonics (and their possible mitigation) some thought is when purchasing new equipment that is known to produce harmonics. For most of the twentieth century, the predominant use of electricity for business and industry was to power motors, lights and heating devices. These uses have little effect on the 60 Hertz (cycles per second) sine waveform of the electricity delivered to them from their utility. They are called linear loads, because the current (amperage) rises and falls in proportion to the voltage wave. A few industries like steel mills and aluminum smelters used electricity to power arc furnaces, which distorted the waveform, because the current flow was not directly proportional to the voltage. These loads are called non-linear loads. Non-linear loads cause waveforms that are multiples of the normal 60 Hertz sine wave to be superimposed on the base waveform. These multiples are called harmonics. For example, the second harmonic is a 120 Hertz waveform (2 times 60 Hertz), the third is a 180 Hertz waveform, and so on. The combination of the sine wave with all the harmonics creates a new, non-sinusoidal wave of entirely different shape. 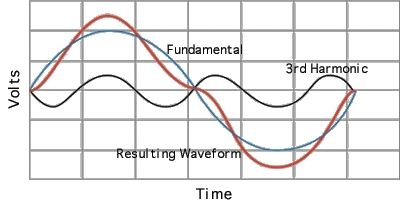 The change to the wave is called harmonic distortion. In the last 20 years, there has been an explosion of microprocessor based equipment which are also non-linear loads. Examples include computer systems, variable frequency drives, AC/DC converters, electronic ballasts, X-ray machines, MRI equipment and uninterruptible power supplies. What was once a problem for a very limited number of heavy industries is now becoming a concern for some smaller business, too. For most people, the word “harmonics” brings to mind something musical. If you could look at a plucked guitar string in slow motion, you would see it vibrates in several ways. First, it vibrates end to end, anchored at the head of the guitar and the bridge. This is called the fundamental. The string also vibrates as if anchored at the bridge and in the middle of the string. This vibration on top of the fundamental vibration is called the second harmonic. The frequency of the second harmonic is two times the fundamental. The frequency of the third harmonic is three times the fundamental, etc. Harmonics are superimposed on the fundamental to produce the sound we hear. The translation to electricity is almost direct. Electricity is produced and delivered in its fundamental form as a 60 cycles per second (Hertz) sine wave. Once inside your business, certain types of equipment can superimpose harmonics on the basic sine wave. Harmonics are multiples of the 60 Hertz wave. For example, the second harmonic is at 120 Hertz, the third is at 180 Hertz, etc. Because harmonics are superimposed on the fundamental waveform, the frequency of the electricity no longer follows a smooth sine wave. Most electrical equipment expects to see a smooth frequency. Distortions created by harmonics can cause a variety of operating problems. Lightning strikes, storms, motor vehicle accidents and falling tree limbs are responsible for up to 20 percent of residential power quality problems. However, the majority of power quality problems are caused by equipment in or near your residence. Regardless of the origin of your electrical problem, the results can be costly. The three most common types of power quality problems are spikes, surges and sags. Spikes are sudden increases of power that enter electronic equipment with the ability to damage – or completely destroy – components. Typically caused by lightning, spikes can also occur if power lines touch each other, or are shorted by falling tree limbs. Surges are short-term increases in voltage that can cause failure in electronic devices. Surges last longer than spikes. Surges commonly occur when electrical equipment with motors – such as air conditioners and refrigerators – switch on and off. Sags are short-term decreases in voltage levels that can starve a machine of the power it needs to function, causing frozen computer keyboards, crashes or the loss or corruption of data. Sags – the most common power problem – are typically caused by the power demands of many home and business devices including motors, shop tools, compressors and elevators. Today’s appliances, computers, and equipment typically contain sensitive electronics that can be damaged by any of these phenomena. Therefore, it’s important to protect your valuable investments from the unexpected. Here’s what you should know as well as some simple steps you can take for protection. An electrical surge is a very brief voltage or current wave. These surges are sometimes called transient surges and can originate within utility systems or your own home. Obviously, they’re bad news and can cause instant damage to electrical equipment. Typically, storms, animals, or trees damaging power lines cause these surges. Other causes can include utility switching operations or accidents involving power poles. Residences can encounter problems caused by switching appliances on and off, tripped circuit breakers, blown fuses, or lightning strikes on telephone or cable lines. All home appliances are susceptible to over-voltages, but today’s electronic equipment is much more sensitive to these events than more traditional appliances like refrigerators, washing machines and dishwashers. A momentary change in electrical current can catch us when we least expect it. However, many of these problems are avoidable. The guidelines below can help minimize the effects of potential power quality problems. Although surge protectors will keep appliances safe from spikes and surges, the devices offer no protection from sags. Despite packaging claims, most multi-plug “power strips” commonly sold in department stores and home improvement centers do not offer complete surge protection. Utilize high quality surge protectors. These devices are designed to limit surges and spikes, preventing damage to your electronic equipment. Some surge protectors are equipped with cable TV and telephone outlets. Do not plug sensitive electronic devices such as computers and VCRs into outlets on the same circuit as appliances that require a large amount of power. For example, beware of sharing circuits with space heaters, clothes irons, refrigerators, washers or microwave ovens. Investing in a good surge protector is like buying a surge insurance policy for the equipment it protects. Although manufacturers may soon build surge protection into their products, for now, it’s up to you to protect yourself. Some manufacturers now offer guarantees on their surge and spike protectors that not only cover damage to their surge protection device, but to any equipment that is damaged while plugged into their unit as well. Bear in mind that such guarantees typically require adequate wiring and grounding. Cost may prohibit you from buying surge protection for all your electronics, but you may want to consider such a purchase for your most valuable equipment. There are two simple things you can do to protect your equipment and appliances from surges. First, install Plug-in type transient voltage surge suppressers (TVSS), also known as surge protectors, wherever you can. They really do provide superior protection for your electronic equipment, and you can find them at most local hardware or electronic stores. These devices should have the UL symbol, the word listed, and the description transient voltage surge suppressor on them. A product that has been tested under UL Standard 1449 assures that the product meets the safety and surge performance requirements recognized by the electrical industry. Note that plug-in type TVSS protectors do not work properly when they are connected to a two-prong receptacle. The second thing you can do to protect your equipment from surges is to verify that your home has the correct grounding. The key to providing good surge protection is the proper grounding of electrical service with the telephone and cable TV service at the point where they enter your home. Contact your telephone and cable service provider to verify that these services are in fact properly grounded. Older homes tend to have more power quality problems than newer homes. Age, combined with outdated electrical systems, can contribute to the increased likelihood of problems with electronic equipment. Prior to 1965, homes were likely to have two-pronged outlets. This means that ground wires were not installed in these outlets. Older style outlets are not adequately wired to provide the basis for maximum safety and power quality because surge protectors have three-pronged outlets. Call a licensed electrician to assure that your outlets are adequately grounded. I have lived here 15 years and I’ve never had any trouble with my appliances. Why do I need protection now? Many older appliances were not sensitive to variances in power, but with the huge increase in the number of products that utilize microchips, the need to protect against surges and spikes is greater than ever. The typical devices that use microchips are televisions, VCRs, stereos, telephones, telephone answering machines, personal computers, sewing machines and microwave ovens. Why can’t BTU protect me from sags, spikes and surges? The majority of sags, spikes and surges are triggered by an activity within your home, and sometimes, by your neighbor’s use of machinery or equipment. Occasionally, you may experience a sag, spike or surge from weather-related events. I have noticed that some surge and spike protectors have plug-ins for a telephone. What are these used for? Communication lines are attached to the same poles as power lines. When these two services come into contact, an electrical surge could result and travel down the telephone line. Surge and spike protectors will prevent the surge or spike from coming through the telephone line and damaging your equipment. Cordless phones, answering machines and personal computers with a modem seem to be especially sensitive. Why should I buy a surge and spike protector for $50 or more when I can buy one for $10? Some surge protectors may not have adequate circuitry to protect your electronics from large or numerous surges and spikes. Furthermore, the more expensive protectors come with a guarantee that covers any damage your equipment sustains when plugged into the protector. The surge protector should meet UL TVSS Standard 1449. It should allow for protection of communication lines (telephone and cable) in addition to your electric service. The surge protector should include a lifetime guarantee covering both the suppressor and your equipment. It should include an indicator light to clearly show that the device is functioning.